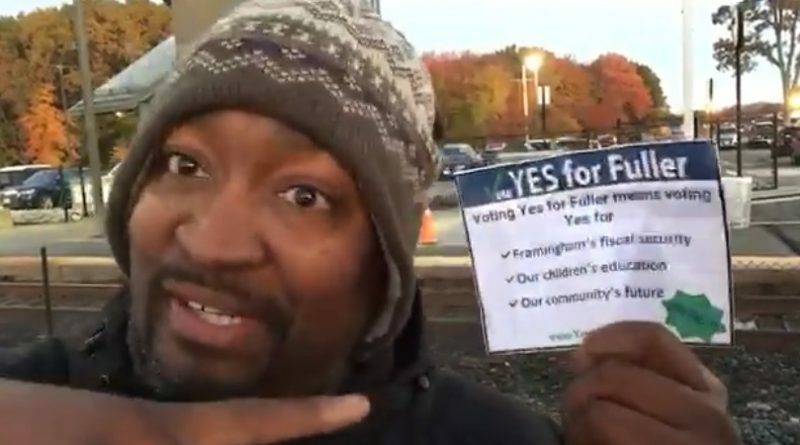 FRAMINGHAM – Last night, the Framingham City Council unanimously voted to support the new Fuller Middle School project in a roll call vote. The vote was 10-0. District 9 Councilor Edgardo Torres was sick and did not attend. Today, several school leaders are headed into Boston for a Massachusetts School Building Authority meeting, in which the authority is expected to vote to award Framingham a $39.5 million grant to help building the $98.3 million proposed middle school. School Committee Chair Adam Freudberg and District 5 School Committee member Noval Alexander are among those planning to attend the meeting. Fuller Middle School, which was once Framingham South High School, is located in District 5. They duo posted a video this morning, October 31, about their trek into Boston, the same day as the Duck Boat parade in Boston for the 2018 World Series champion Boston Red Sox. Framingham Superintendent of School Bob Tremblay, Fuller Principal Jose Duarte, City Council Chair Dennis Giombetti, Mayor Yvonne Spicer, and Chief Financial Officer Mary Ellen Kelley are also expected to attend the meeting in Boston. Mayor Spicer did not attend the City Council meeting last night, but the CFO read a statement by her in support of the project. Voters will have the final say in the project in a debt exclusion override vote set for December 11. If the project is approved, the average homeowner would see an increase in their tax bill of $101 a year for 20 years.